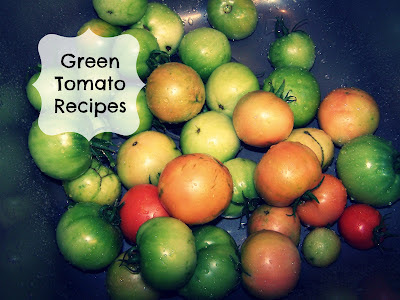 As promised, I am sharing some yummy green tomato recipes with you. 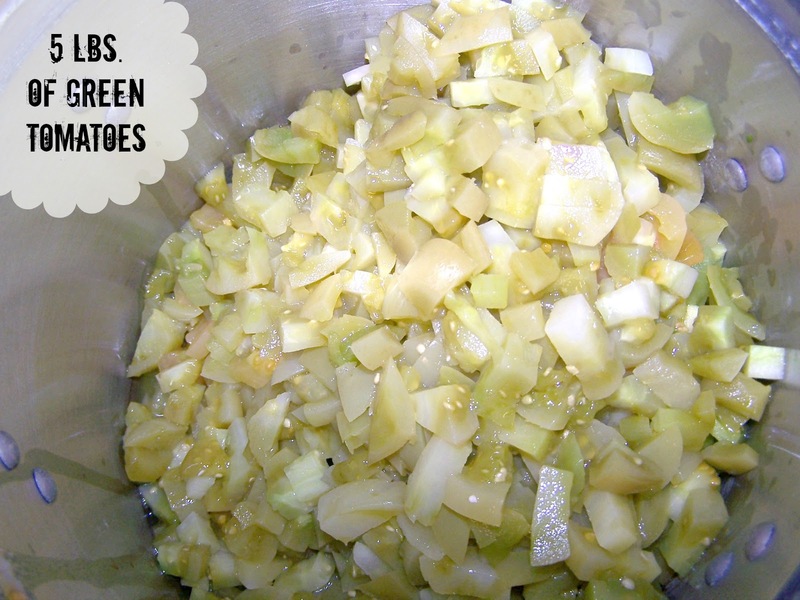 First up is a green tomato salsa. 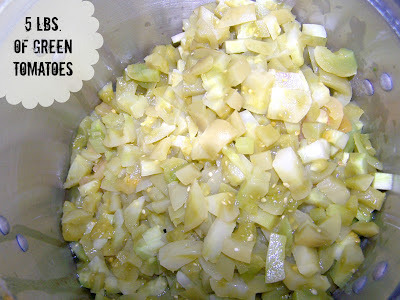 I have never worked with green tomatoes before, so removing the skins was new for me. Next time I won't even bother. This salsa can easily be as mild or hot as you want. Prepared as the recipe reads, this will give you a nice mild salsa. The lime juice is strong but not overpowering. I think that it gives it more of a restaurant flavor. 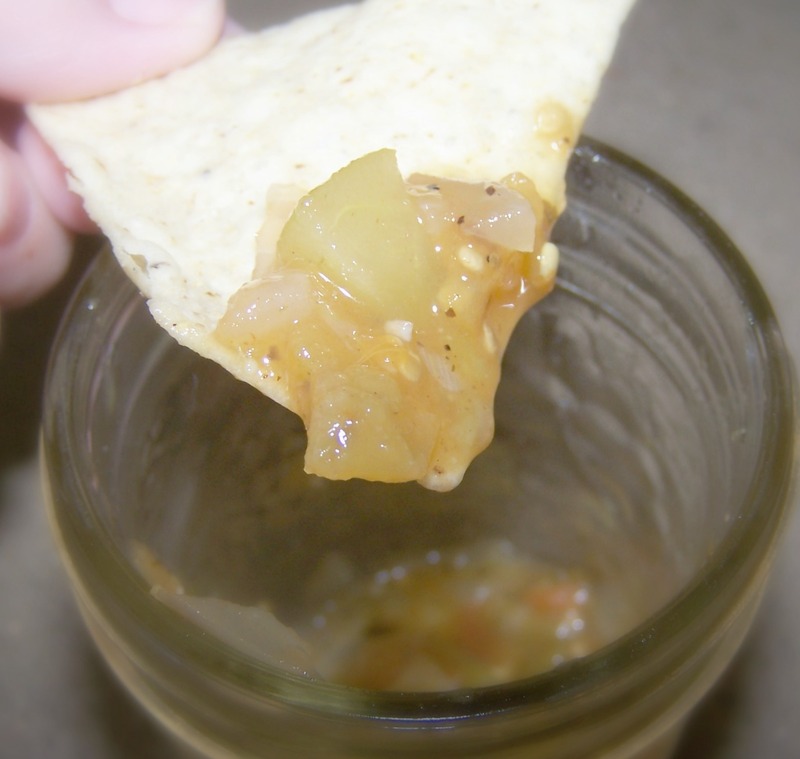 I plan on making several more batches of this salsa with some ripe tomatoes instead of green. Mix everything in a large pot, and simmer for 30 minutes. I thew in a couple ripe tomatoes for color, and omitted the red peppers. 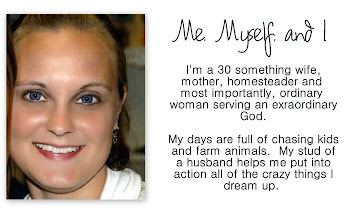 I used a pressure cooker, but you could also use a hot water bath. Pints: 15 lbs. pressure for 20 min. 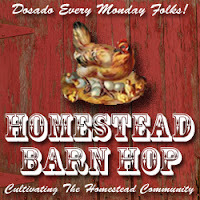 Note: I am at about 5,000 feet, so adjust according to your cooker manual. 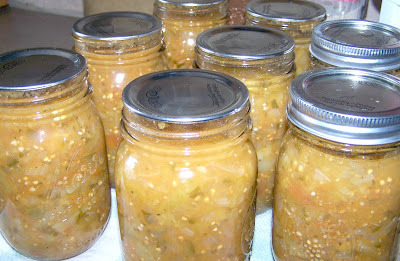 This recipe made 9 pints (I only canned 8). Green tomatoes ... Oh so good! Thank you for reading part one, of our Green Tomatoes mini series. Up next, green tomato bread... YUM! how long would a hot water bath have to be? Regular canned tomatoes take 40 minutes so am am guessing 40 minutes.